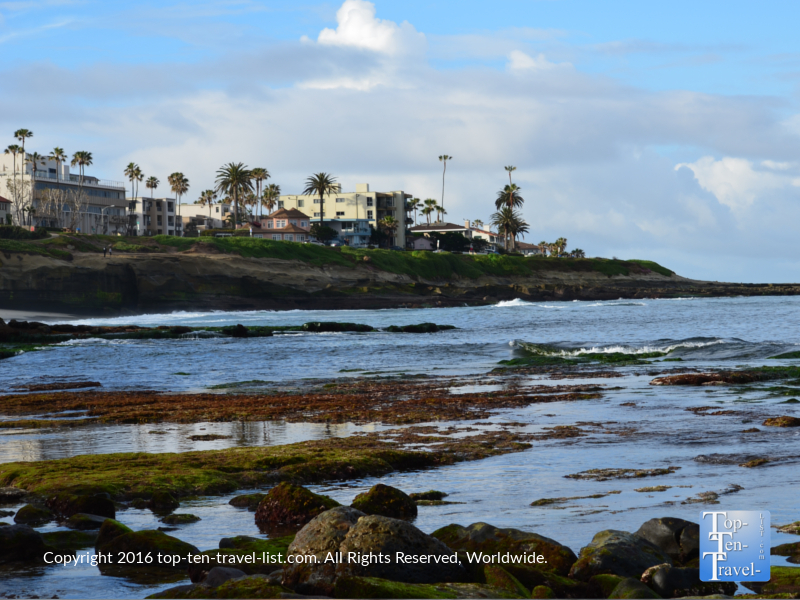 Attraction of the Week: La Jolla Cove in San Diego - Top Ten Travel Blog | Our experiences traveling throughout the US. 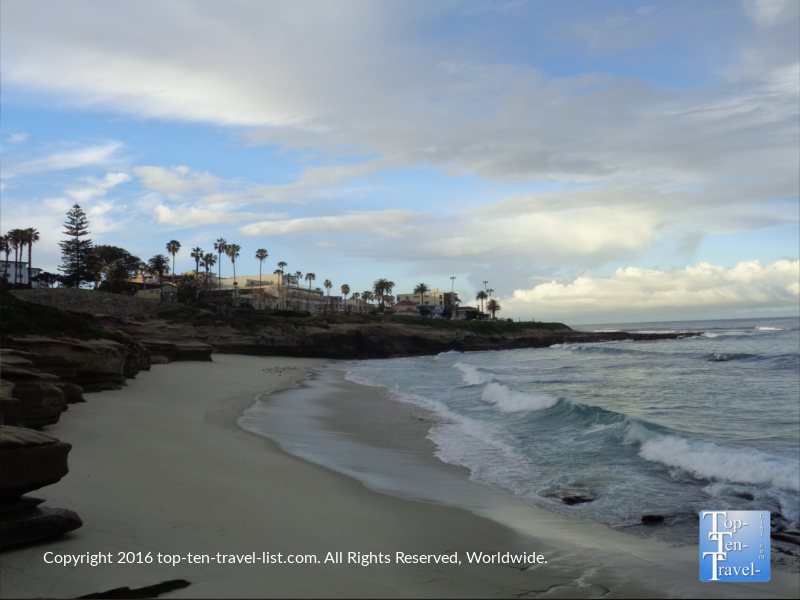 La Jolla Cove is one of the most gorgeous beaches in San Diego county. Offering picture perfect scenery, abundant wildlife sightings, and even a bit of seaglass, this quiet beach is the best option for anyone looking for a relaxing place to enjoy the coast. 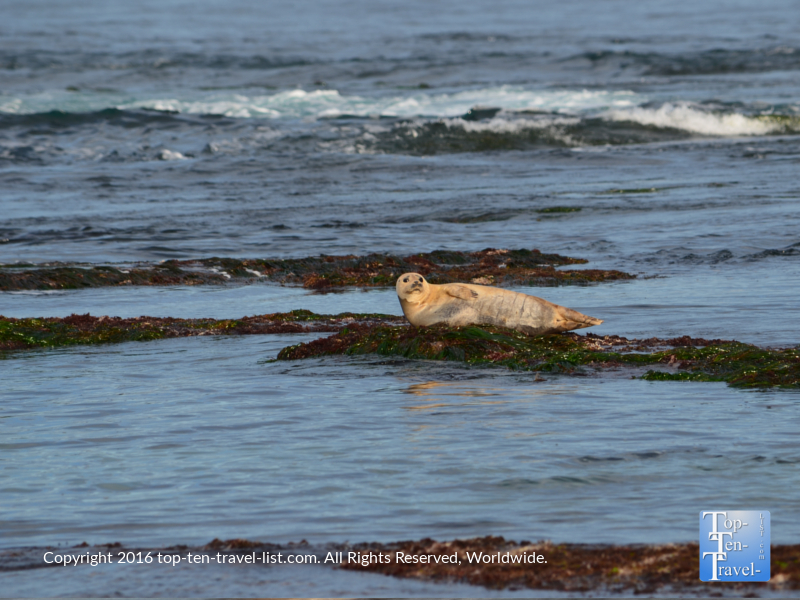 La Jolla Cove is a local gem, a picturesque beach with dramatic cliffs, tide pools, and lots of sea life. Scuba diving, snorkeling, and kayaking are popular here due to the calmness of the water and abundance of colorful marine species. 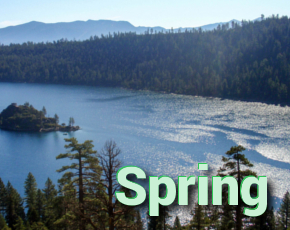 It’s also a popular swimming spot in the summer months. 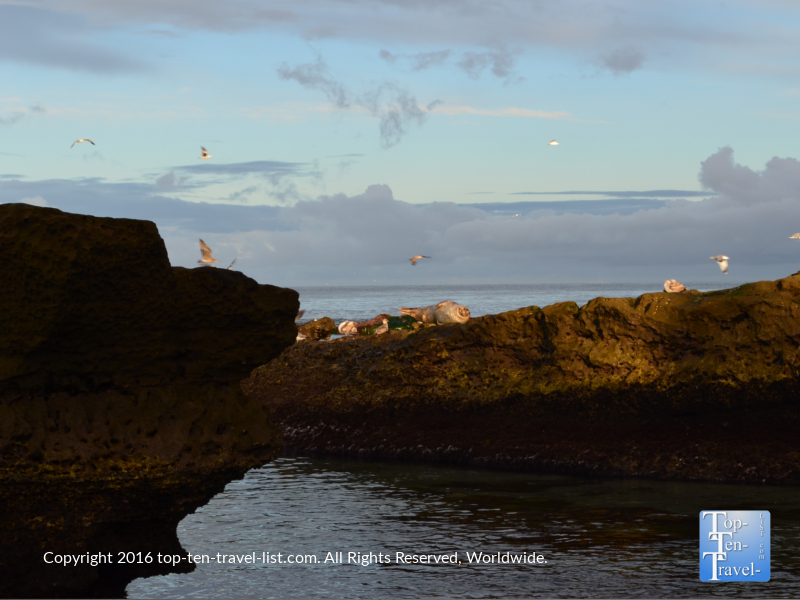 However, if you visit early in the morning, you will be able to enjoy the entire beach to yourself, thus making this the best time for photography, relaxation, and beach combing. 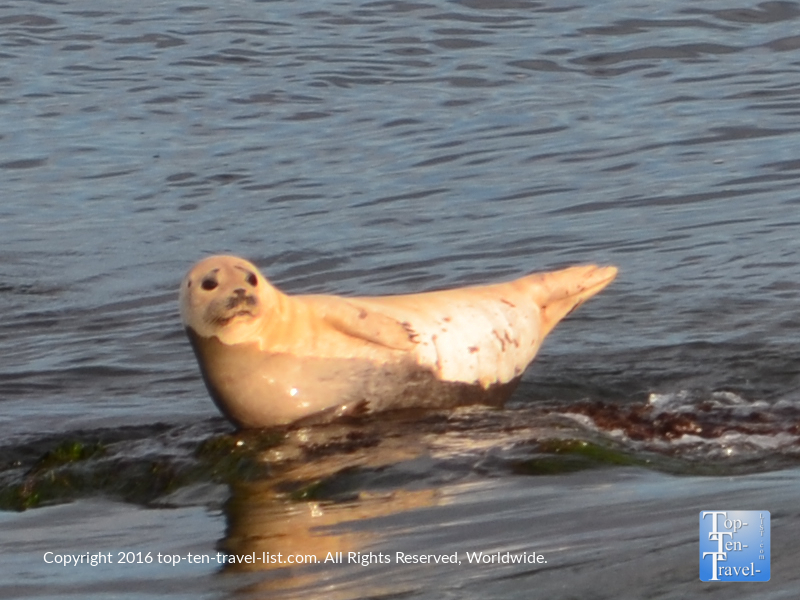 Sea lions and seals can be seen swimming or relaxing/sunning amongst the rocks. 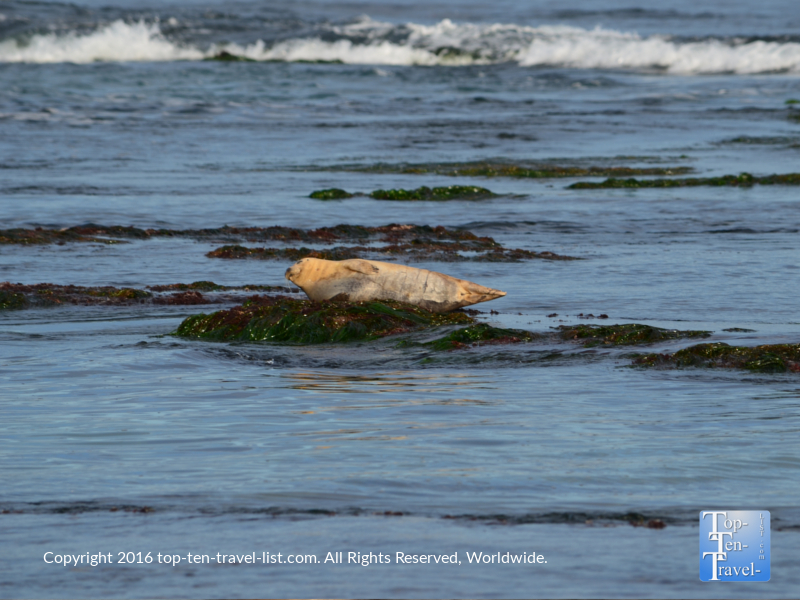 Many times they will come out to the beach and lie around in an attempt to warm up. Another fun activity unique to the area is collecting seaglass. 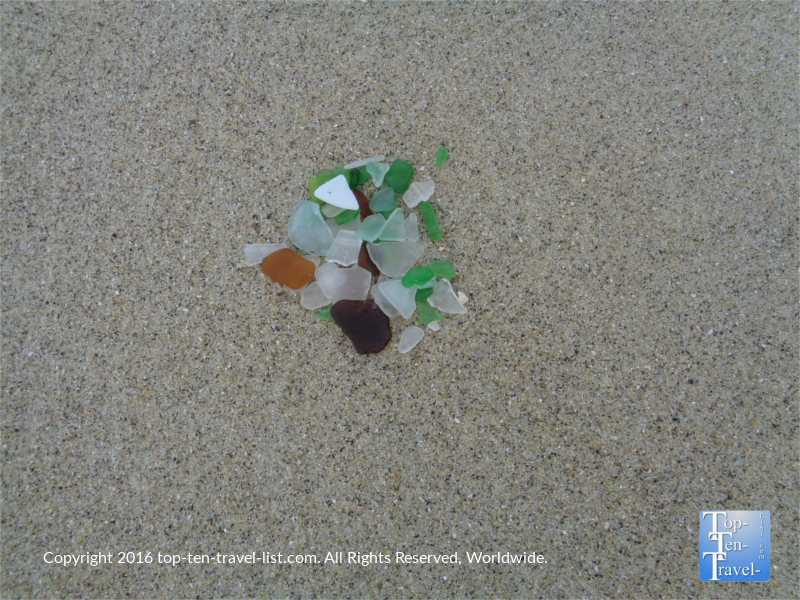 Colorful seaglass pieces are nature’s made gems: piece of broken glass which have been tumbled over and over again until they eventually become the smooth gem like stones which you find scatted about the shores of rocky coast beaches. It’s amazing that what once used to be something as simple as a broken beer bottle has been turned into a beautiful jewel, created by the hands of nature and time. While seaglass is a pretty common find at many rocky coast beaches up north in places like the Washington, Oregon, and Maine coast, it’s a much rarer find in Southern California. Although you will not find the diversity of colors here (no treasured cobalt blues or beautiful purples), you will find lots of nicely tumbled gems of varying shades of white, green, and brown. You will know when you find one as they sparkle in the sun: a striking contrast to the dulls surrounding rocks. Tip: visit at low tide, preferably after a storm, for the best finds. 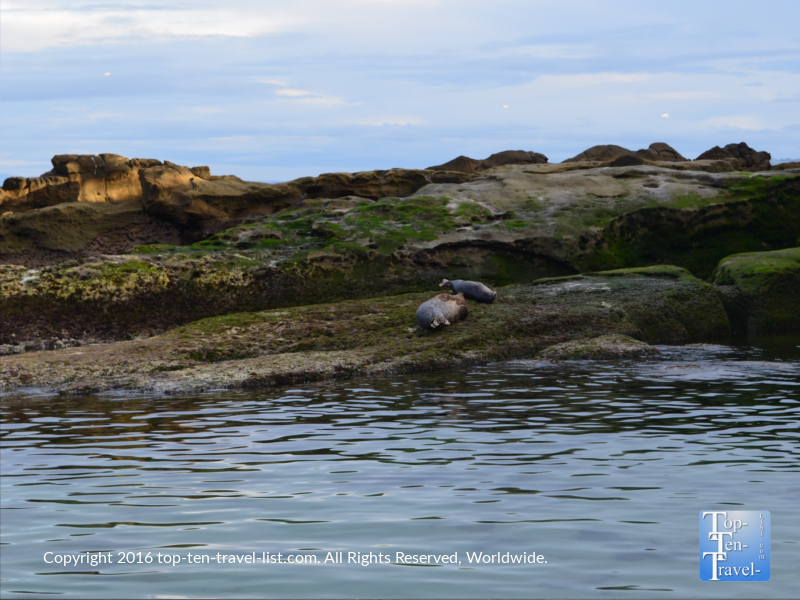 Overall, La Jolla Cove is a must-see for any nature lover, photographer, and/or avid seaglass collector visiting San Diego. 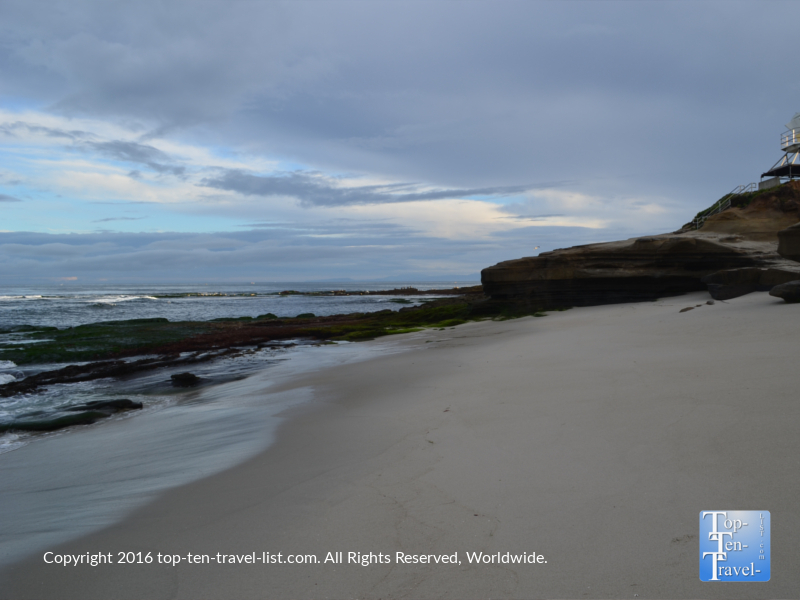 In contrast to surrounding beaches which are popular for partying and surfing, La Jolla offers a more peaceful, scenic vibe away from the crowds. 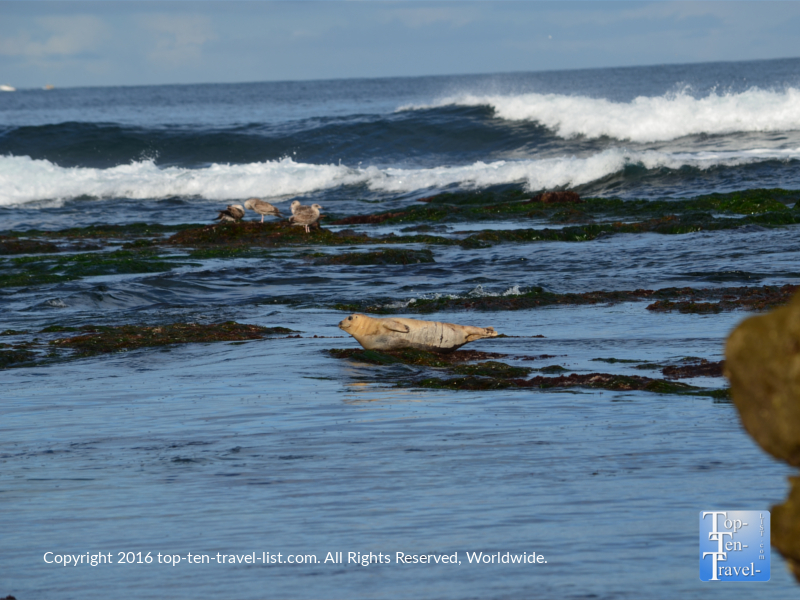 Have you ever visited La Jolla Cove? What is your favorite beach in the San Diego area? These posts are similar to the one you are reading! The Griffith Observatory: The Best Views of the Hollywood Sign in L.A. Signing up for our monthly newsletter automatically enters you for our prize giveaways! 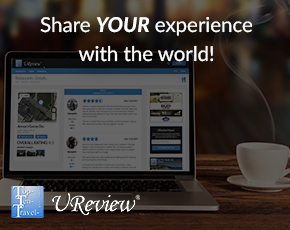 Stay in the loop and travel with us!